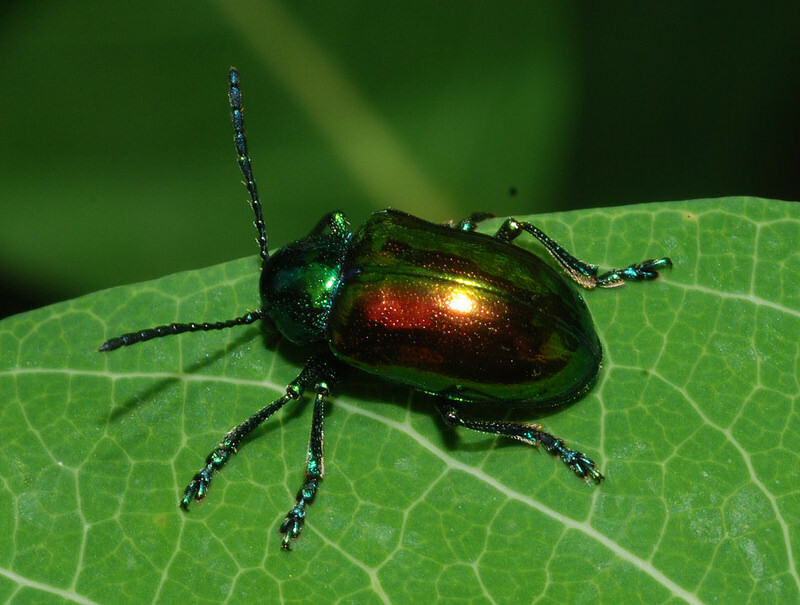 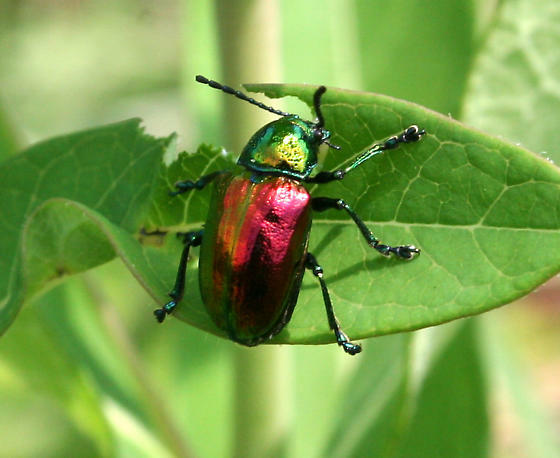 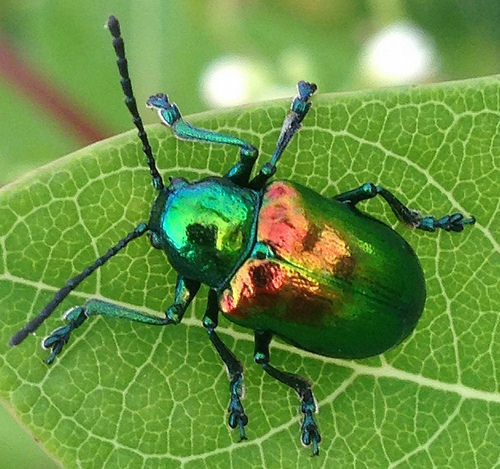 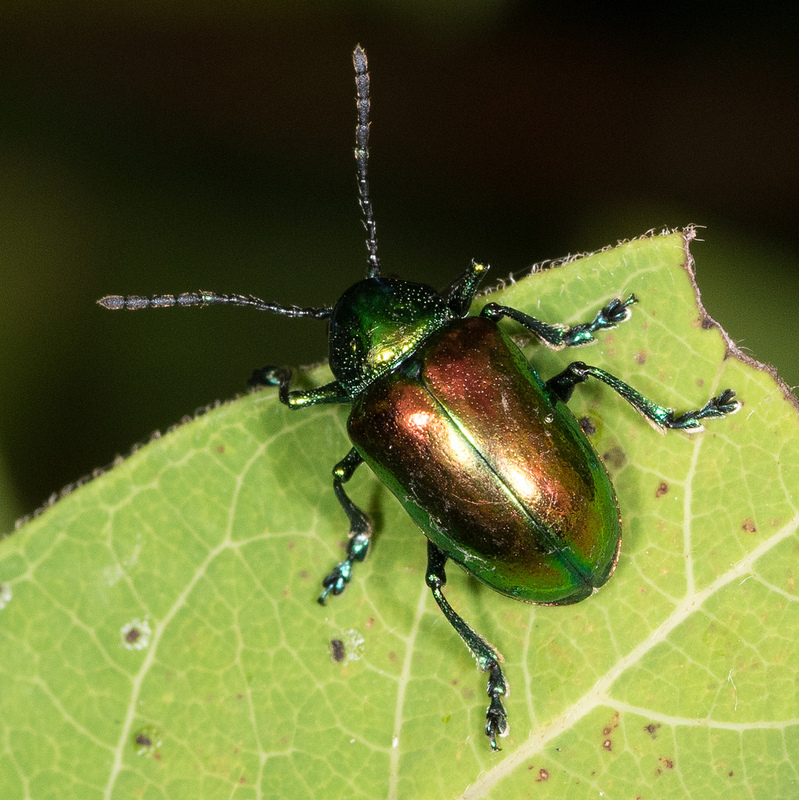 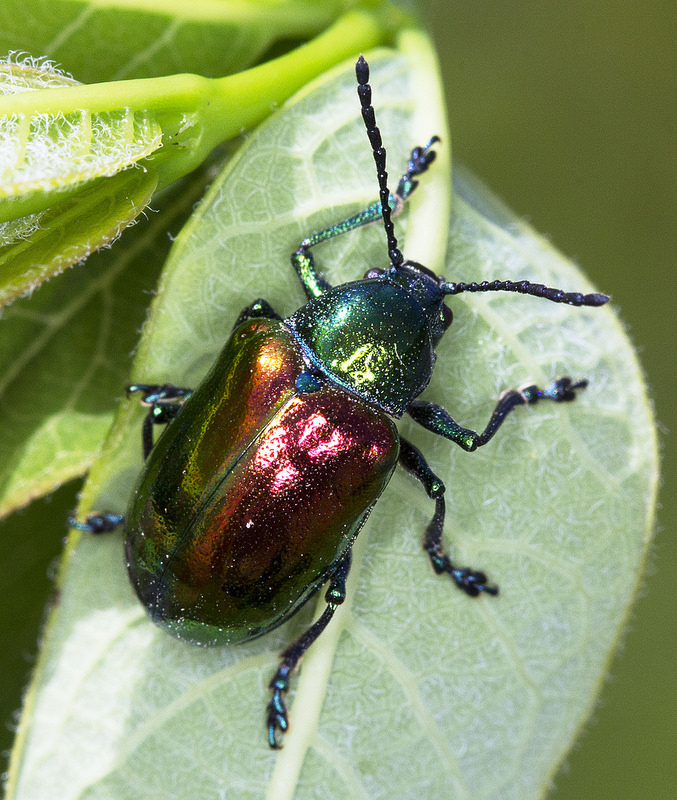 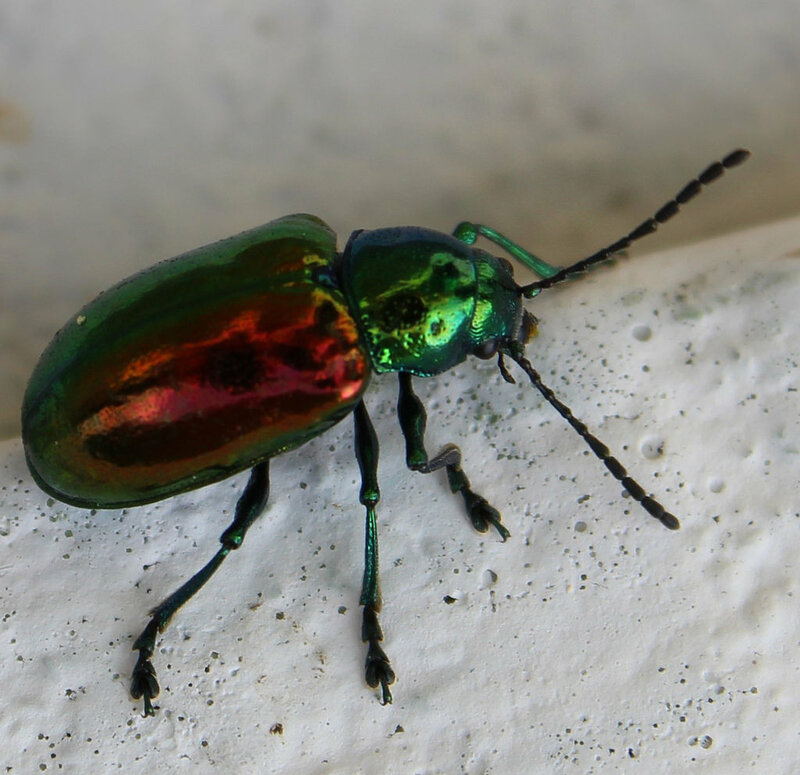 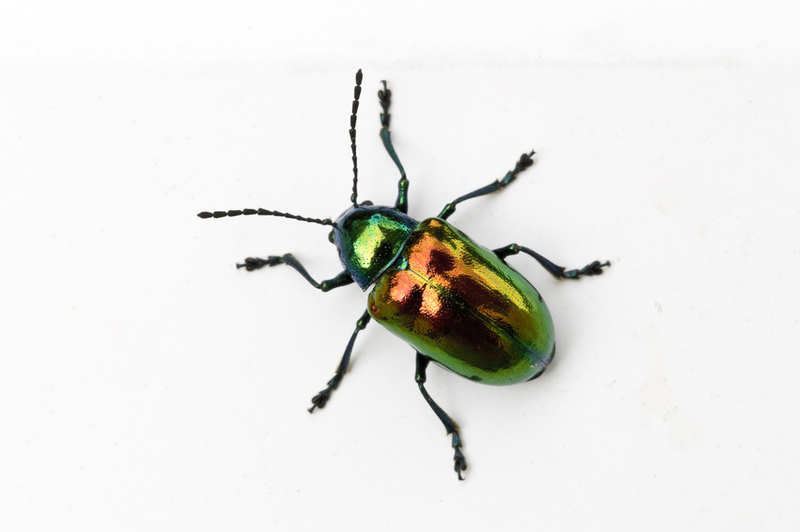 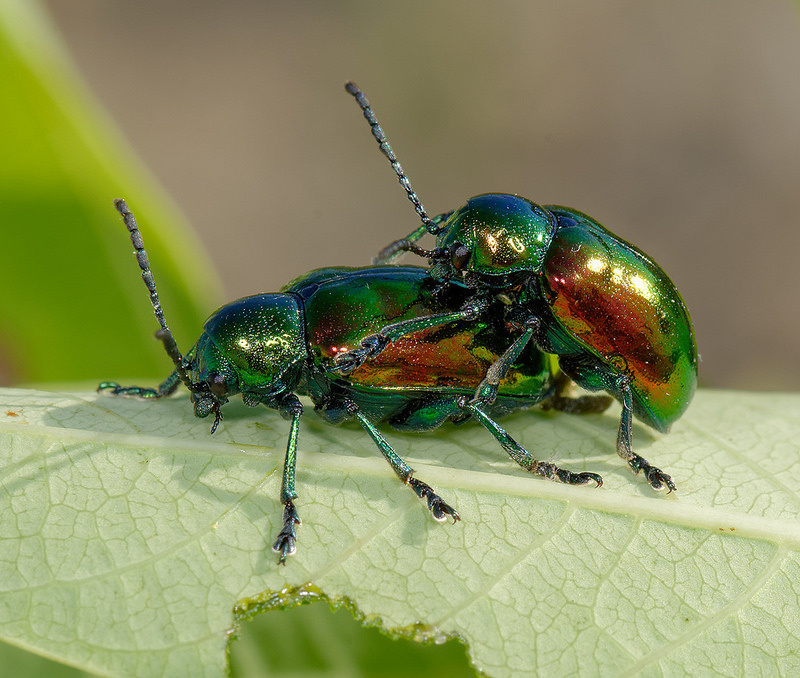 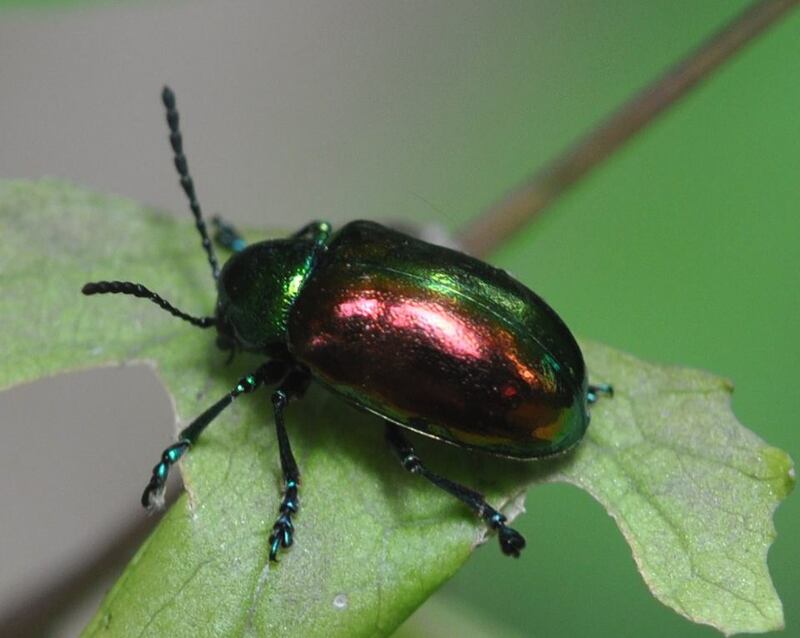 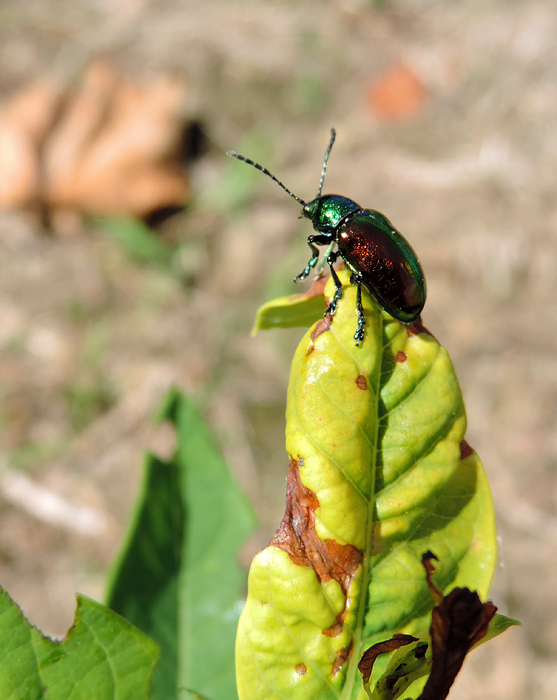 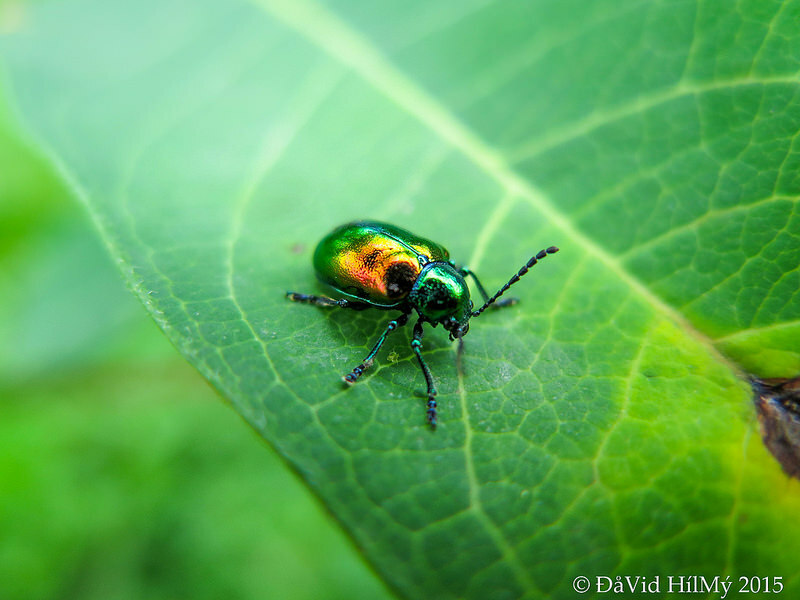 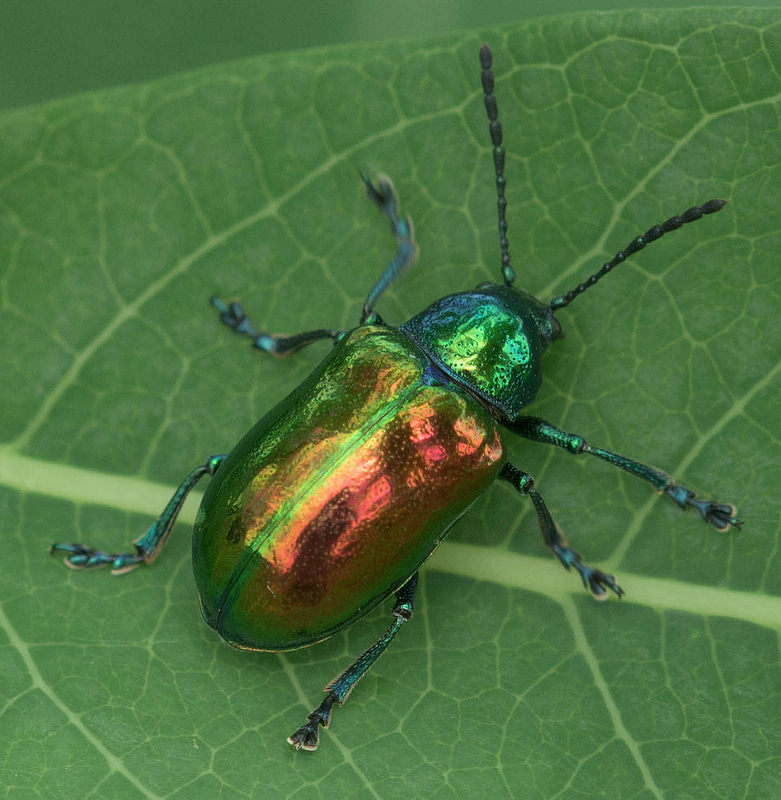 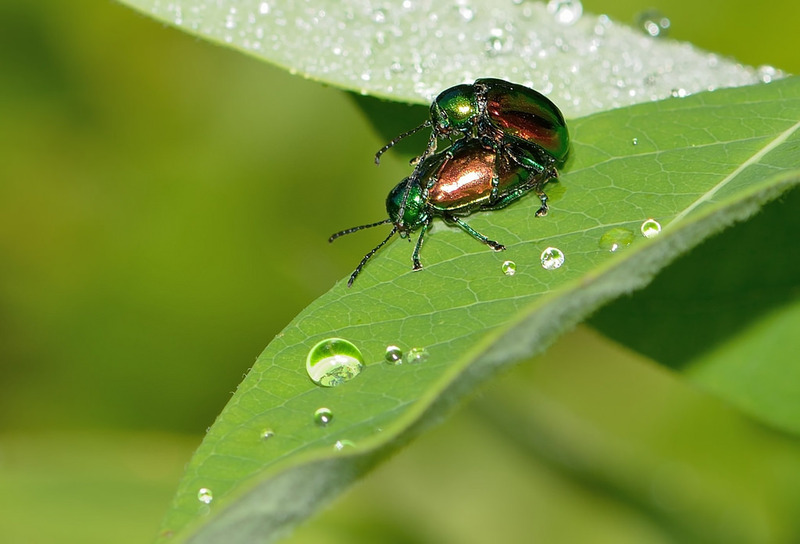 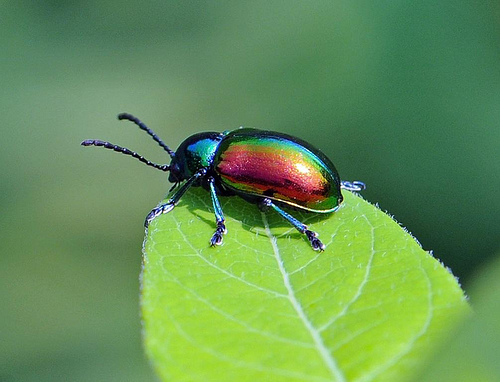 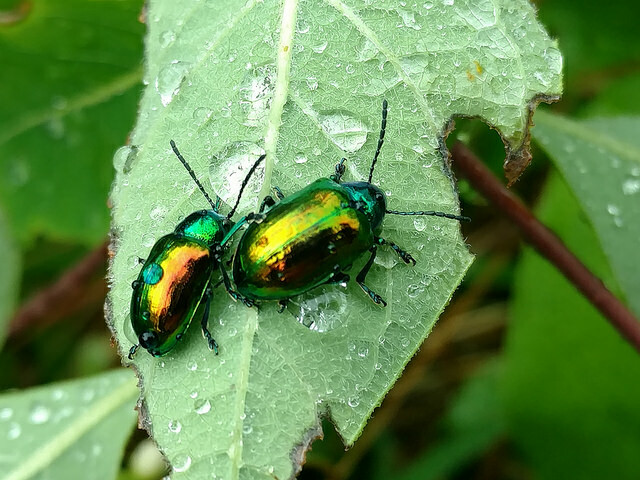 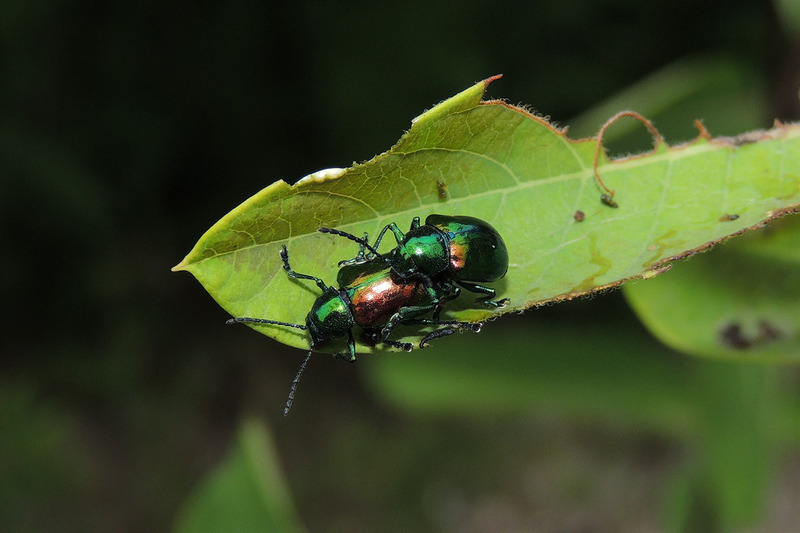 Dogbane Beetle Chrysochus auratus (Fabricius, 1775) Synonyms: Dogbane Leafbeetle, Indian Hemp Beetle. 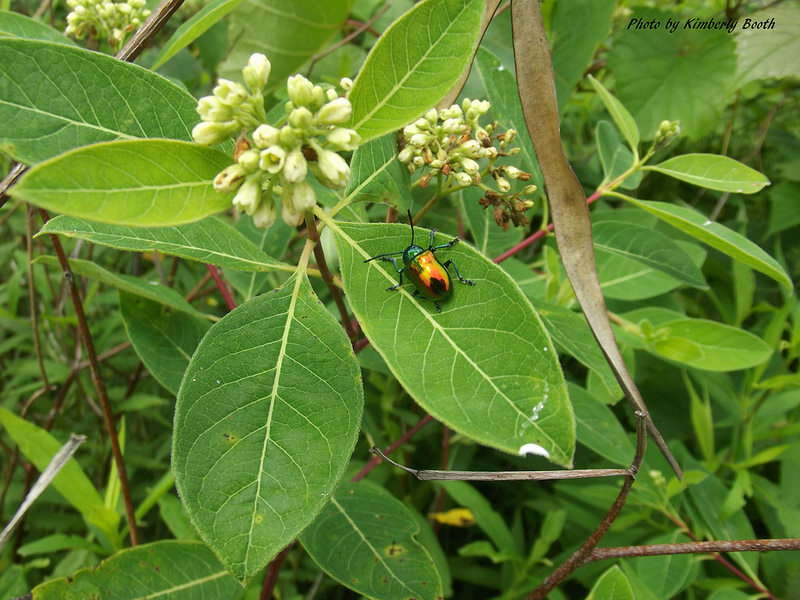 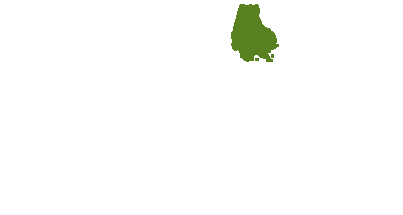 Feeds on Spreading Dogbane and Indian Hemp. 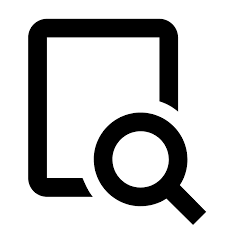 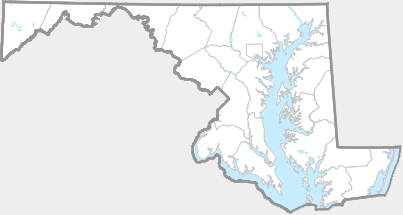 There are 119 records in the project database.